Greetings everyone, if you have any time to give me feedback on my current assignment for my Hapara Scholar Certification, I would be most grateful. This is my first draft and eventually I would like to have a clearer and uptodate teaching philosophy that incorporates our new Digital Technologies curriculum. I have taken the ISTE Standards for educators and incorporated them in my new digital teaching philosophy. ISTE is the International Society for Technology in Education. The ISTE Standards are standards for the use of technology in teaching and learning and are a framework for students, educators, administrators, coaches and computer science educators to rethink education and create innovative learning environments. At the same time I want to include our New Zealand standards for teaching that have a slightly different focus. For example our code and standards for teaching have 4 values that underpin Our Code for teaching and Our Standards. They define, inspire and guide us as teachers. In addition we have 4 codes of professional responsibility such as Commitment to Society, Commitment to the Teaching Profession, Commitment to Learners and Commitment to Families and Whānau. Using the Maori word of rararanga and the samoan word lalanga, from my first language, both of which means weaving I will endeavour to weave both standards into my new digital teaching philosophy. I will then share about an important digital tool that has an impact on designing learning and unpack effective strategies that has been researched to have the greatest impact on student and teacher learning. Following that I will acknowledge the importance of analogue tools and to continue using a balance of digital and analogue to foster and support a student-centered, thoughtful, classroom. In addition it is already 2018 so I will remove the word 21st century learning because our current learners who are nearly finishing high school were born in this century and I believe it is time to put aside 21st century learning and just focus on learning. Finally I will summarise why as an educator that I must be a model with what I teach by sharing my own learning. In my school I primarily teach in the areas of second language and I support teachers in using digital tools. I also work across eleven schools as an across school teacher in the Auckland Central Community of Schools. My goal as a teacher is to motivate teachers and to continually improve my practice by learning from and with others and exploring proven and promising practices that leverage technology to improve student learning. I dedicate time to collaborate with both colleagues and students to improve practice, discover and share resources and ideas, and solve problems. I have special training in second language acquisition and I have an awareness of the Treaty of Waitangi which is embedded in all that we do as educators in New Zealand. Therefore I would endeavour to provide opportunities for the continuing acquisition of language of children from ‘kohanga reo’ and from other language backgrounds. Using digital tools is the future for survival of our pacific languages which are currently being eroded at an alarming rate. 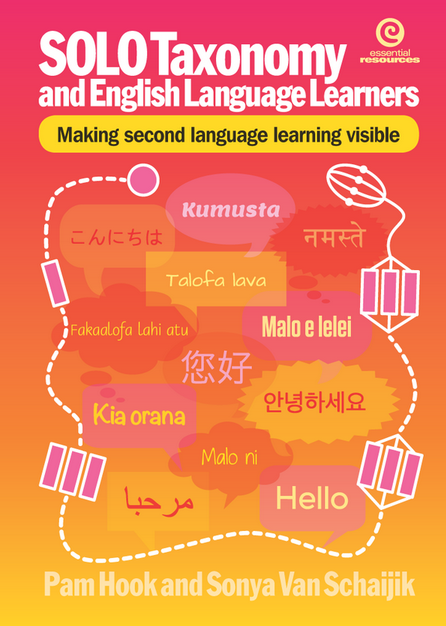 Learners who speak Pacific languages have greater access to other speakers through using communication tools. I also believe that parents and community need to be closely involved in children’s education by ensuring that students, parents and education stakeholders are part of the learning community to build agentic students. Being of Pacific Island descent, I know that the ‘whanau’ has an important part to play in the learning of the ‘tamariki’. I endeavour to be open to all cultures, without bias or prejudice and to respect the views of others. I believe in continuing with my own second language learning so that I may better empathise with children learning a second language for example I am currently learning Chinese which is my seventh language. As a teacher with leadership responsibility, I believe in the leadership model of service and example. The pastoral, educational and managerial dimensions of my leadership should reflect the principles and practices of stewardship. I seek out opportunities for leadership to support student empowerment and success and to improve teaching and learning. In my administration I seek to be sensitive to the needs of the whole school community, – children, staff and parents. I inspire students and teachers to positively contribute to and responsibly participate in the digital world. I facilitate learning with technology to support student achievement. In describing my leadership style – I lead by example. I set myself high goals and am resourceful and flexible. I prefer to deal with immediately relevant issues and tend to excel at defining goals, along with a plan for reaching them. I design authentic, learner-driven activities and environments that recognize and accommodate learner variability. I understand and use data to drive instruction and support students and teachers in achieving their learning goals and often show teachers how to do this. I thrive on involvement and can be extremely persuasive. I excel at marketing, fundraising and motivating others. I undertake given tasks with enthusiasm and am successful at supporting others to ‘come on board’ with new ideas. I respond well to incentives and rewards and especially acknowledgement. I am comfortable in a leadership role. I constantly monitor how leaders, whom I admire, manage change and innovation. Usually educators begin with the dashboard tool. Dashboard does speed up access to documentation and allows the grouping of learners but not alert the students of this. Dashboard helps with the management of digital artefacts. Our teachers need access to Workspace so that greater customisation of students learning can take place. Without workspace educators would struggle to create a student-centred, thoughtful, 21st century classroom because workspace allows educators to manage what students are doing, see that they are on task, give them instant feedback and as a teacher to be able to access their work with a single click. Hapara Highlights helps teachers see what learners are doing in the Google Chrome Browser in near-real-time. Feedback mechanisms allows reinforcement of pro-learning behaviour and helps re-direct unfocused behaviour. Not to shut any sites students are viewing without warning, however open a site to help redirect their learning. Teacher can send a message to highlight positive behaviour. Highlights can be used to track the sites visited to help identify trends and can also be highlight who is not using the space appropriately and can be seen if they are on task. Over time compare viewing trends for individuals or groups of students. Use the data to share back use of time for learning in positive ways. In his research Hattie, (2012) identified several effective strategies for successful learners such as Direct Instruction, Note Taking & Other Study Skills, Spaced Practice, Feedback, Teaching Metacognitive Skills, Teaching Problem Solving Skills, Reciprocal Teaching, Mastery Learning, Concept Mapping, and Worked Examples. Whenever I choose new digital tools, I use SOLO Taxonomy to improve the impact of how and what I teach because SOLO teaches Metacognitive skills through direct instruction and concept mapping is an important part of learning using SOLO. Feedback is clearer with SOLO and the learners can see the feedback in an explicit way. SOLO is an acronym for Structure Observed Learning Outcomes and is the research of John B. Biggs and K. Collis. SOLO is a proven research that produces outcomes that has been in education for over 40 years. SOLO is often sighted in Hattie’s research. I choose the best digital tool or tools for the task. As our children become more digital I offer them the choice of which tool to use. I use several strategies such as those having been identified by Hattie to leverage technology in a student-centred thoughtful, 21st century classroom and I know when and why to use them. I have several tools that I continually use and my current favourites include Google Draw for mapping ideas, creating videos, voice thread for feedback. I also choose tools that can be collaborated on such as Google Slides, wevideo and padlet. Sometimes analogue tools will be used in a student-centered, thoughtful, 21st century classroom because sometimes putting pen to paper creates different pathways in the brain. At the same time as our children curate their analogue products for their digital portfolios a combination of technology is used to capture these creations. For example a scene could be drawn from a book using colouring pencils on paper. Then the image is captured using the chrome camera, uploaded to Seesaw and an audio added to explain what is happening. Students will practice being citizens by supporting their classmates in their learning and respecting the rights of other students to learn whether it be face to face or digitally. They will be encouraged to look up answers at every opportunity using both the analogue way of using the library and the digital way using online databases, and Google. They will learn and be supported in finding the right or best answer or solution to real life problems through using current productivity software to solve problems, analyze data and communicate with others. Sometimes the best way of capturing this is with a camera as they learn how create videos and photomontages to tell a story, provide information, or help solve a problem. Students will become familiar with social media and how to responsibly maintain a presence on the Web by being exposed to as many examples as possible of how social media can be used in a positive manner to enhance their lives and often this happens when sharing with friends in a face to face way. In summary, all students and teachers have the right to learn and I encourage them to actively participate in their education through the use of technology in the classroom at every available opportunity. When they leave our school I expect our learners to be savvy tech users and model digital citizens prepared to tackle any challenge they may experience as they go through life. As an educator here in Aotearoa New Zealand I believe it is important to continue with my own learning so that I can be the model learner for the students and teachers that I work with. I do this by being actively involved with developing my digital learning and my face to face experiences of learning. I learn online such as currently completing my Hapara Scholar certification and have recently completed my Digital Passport to unpack the new Digital Technologies curriculum that will deliver key competencies in digital technologies by 2020. The Hapara Scholar Certification enabled me to learn with educators around the world and learn about their teaching standards and in doing so better understand our code and teaching standards in New Zealand. ‘狗熊掰 玉米 Gǒuxióng bāi yùmǐ’ which means Bear breaking off corn. That is a perfect explanation for my learning over this past few weeks. So much has happened that I feel like the earlier learning has dropped away. Just before the October holidays I sat Google Certified Educator Level 2. This was my second attempt after having a computer freeze in the final 20 minutes during my first attempt. At the end of my second attempt I scored 78% out of 100 and you need 80% to pass. Therefore I failed. Then this week I received notification of my HSK level 2 result. I scored 108 out of 200. I needed 120 to pass. Again I failed. Straight after both results I felt like the glass half empty. Yet if I refocus on the glass half full perspective I can reflect and share the good outcomes. This year, I got to visit Beijing on a scholarship and this year I passed Google Certified Educator Level 1. In addition I ran a successful TeachMeetNZ for our CoL, managed to persuade three of my colleagues in my CoL to present with me at Ulearn. You can read about all about that here. Last weekend I published EDBookNZ 2017. This is an initiative where educators from around New Zealand contribute to a shared book about current education happening. You can read about past EdBookNZ books here. Over the past two weeks my Travelwise Student Leaders collected our Gold Level certificate that reflects the work we have done this year at my school and just yesterday we were evaluated as a Green/Gold Enviro school and beyond and our students made that final decision based on our kete of evidence. So just from this term alone lots of fabulous personal achievements. This reflection is still coming. In regards to my Google Certified Educator Level 2 exam I will spend time over the holidays revisiting all the modules and aim to try again later January. In regards to my HSK level 2 exam, I have downloaded the brand new Duolingo app for Mandarin which so far is flippin amazing and practice for 5 minutes daily then try HSK level 2 again in May of 2018.